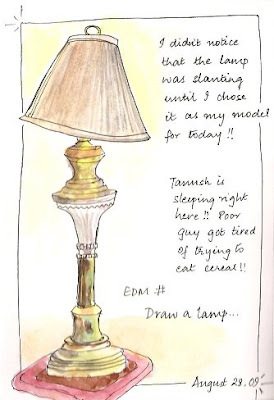 By the way even before I finished sketching the lamp in the first break, sonny dear woke up! So it was a 3 break picture!! Thank God for all the stash that I store!!! Love this page, and sharing your life with Tanush. Shading on the brass is realy well done, as is the texture change on the shade. Good job.